Every crafter has little pieces that need a special place to hold them. Treasure boxes are ideal for holding small things that don’t go into the typical organizers and storage containers. Felt-lined to protect even the most delicate piece. These come in two sizes and 4 different finishes. A treasure box makes a great gift for your crafty friends and relatives, plus a great gift for yourself, too. Here are some of our choices. 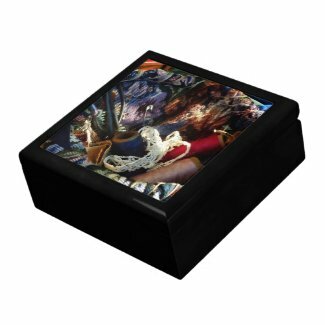 Click on your favorite to see more about it, purchase it, or browse more treasure boxes.